Baby Issy gave me a wonderful surprise visit last week, which totally made my day! I was feeling blue for so many reasons but she managed to put a smile on my face and captivate me with her cuteness. Look how big she got over the year! Initially she dared not venture close but as soon as she saw my cats, she lost her frown and ran chasing after my kitties calling them "Mau, Mau" as she happily laughed in glee. It was a lovely sight to see my baby niece smiling from ear to ear but it was an even more great feeling to hold her in my arms. She's so chubby and huggable and she still has that sweet comforting baby smell that just makes it all the more harder to let go! I love this little girl so much that all I want to do is shower her with gifts. Her birthday was in September and I'm thinking Strollers! I hear Shop Wiki offers some of the most innovative strollers in the market including Jogging Strollers. I know Baby Issy loves being pushed around in her stroller back home while she's out shopping with her parents so a new one would make her jump up and down in delight even more! 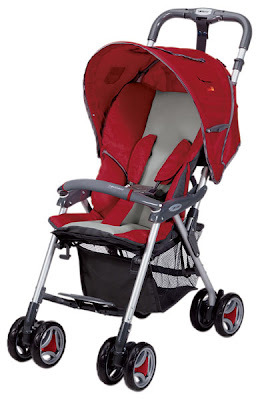 This one here seems to be the best choice from the many Full Featured Strollers available. It opens easily with one hand and comes equipped with a bottle pocket, large storage basket to store toys and diapers, a carrying strap and viewing window canopy among the many useful features included. The stroller uses an independent wheel suspension system so Baby Issy will definitely enjoy a smooth restful ride throughout her outing days here in Malaysia before she goes home to UK at the end of the year. I'm thrilled to have my baby doll home even for a while and I plan to enjoy some Baby Issy love and hugs as much as I can while she's here. Isn't she beautiful? 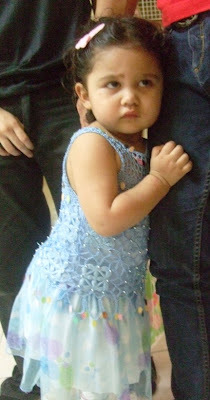 :* :* :* Baby Issy! 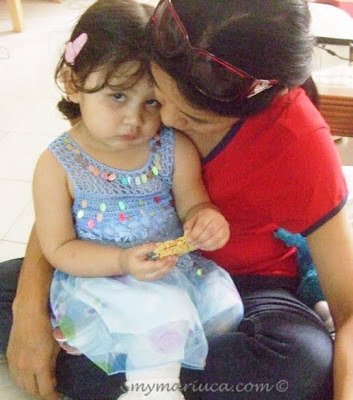 she's looking so manja on the last picture dearie... hehehe... cantik nya.. lol!! Hahahah. gomoiz.. jangan tak gomoiz.. lol! i love her chubbiness. she's looking so healthy. the stroller is a perfect gift for baby Issy. i bet she'll love it. I want to TELAN la this girl. Comel is the is the. Sangat bulat dan yummylicious la my menantu. So different from si kurus Ali. Oh she's soo cute in that dress !! What a heart breaker - so cute - so sweet - glad you had such a great time together! Wah, dah besar dah Baby Issy. Geram tuu tgk pipi dengan muka-muka manja tak bersalah lagi selamba. She's so adorable la. Look at her cheeks! Recent blog:=- Selamat Hari Raya! Guest ni mesti Shemah.. lol!! :* :* :* :* :* LJ FC1! :* :* :* :* :* :* GG! Recent blog:=- Puss & Master in Boots! Recent blog:=- Looking For a New Hobby? Recent blog:=- Laffy Taffy Candy! I also love the very.. lol.. I love chubby babies!! Hehhehe.. saying baby issy.. wah syiok lah you.. she's here till end year? Hahha.. yeah? Lol!!! Rizal are you guest?? loL! Hehhe. baby doll Issy!! Gomoiz!! follow thingy and it is always not click..
Hehhe.. as long as she tak gigit..i chase.. lol! Yeah till December, I wan to buy her pressies woo hoo! Slap slap her face.. wah aunt GP brutal.. lo!!! Hahahahhaha fluffy sebab gebu gitu baby Issy!! Wahhhh funny eh??? Ok don forget to tick then dearie! Slap slap manja gitu dearie he he! Dats why I have to bekerja keras this month nak beli pressies for Issy! 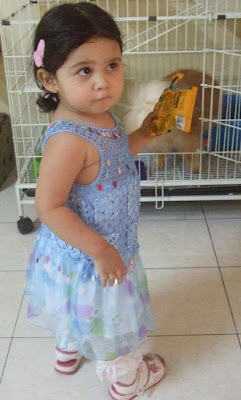 Hahahhah terkedek2 is the right word Debbs, mmg cute gila, the more she runs the more u wanna catch her! Hahahah. telan telan eh.. lol.. takustss!! Lj has to tick at Shemah’s blog oso it seems…. Fluffy wuffy la baby Issy! So syiok and cannot resist! She won bite but if she bites oso I don mind ha ha! Oh! How could I ever miss Baby Issy's pics, GP Dearie??? She has grown bigger and chubbier, hehe! But she's so huggable, adorable, and I just love to cuddle her! she's not just pretty, she's so cute!! !